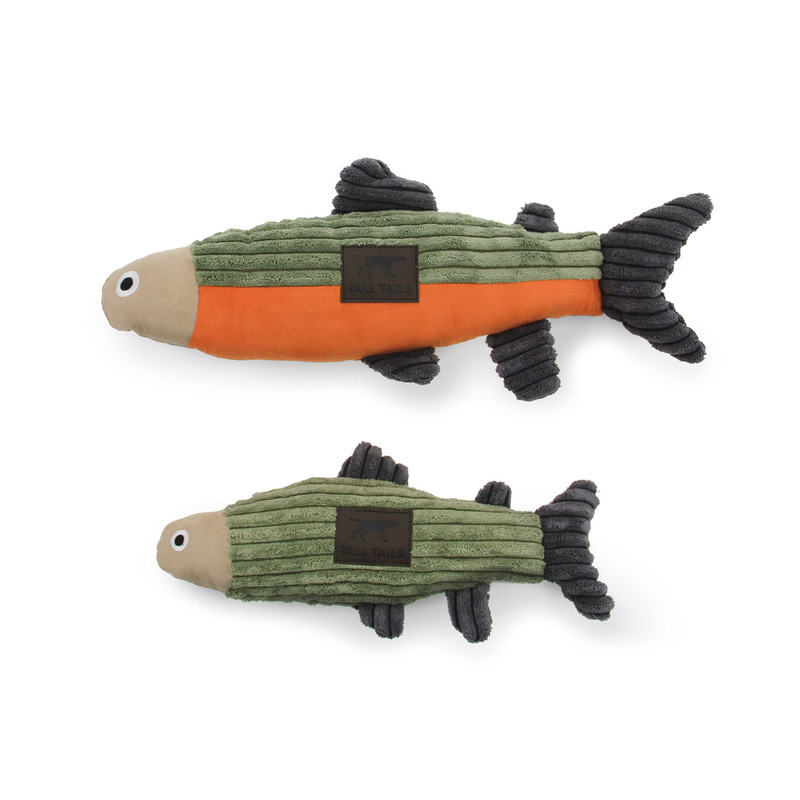 Dogs will love to fish without getting wet with the Tall Tails Fish Dog Toy! 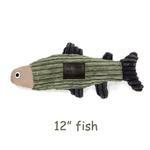 Tall Tails plush toys are soft, durable, and gentle on teeth and gums. All of the soft playful shapes are perfect for interactive play. 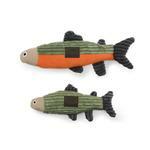 All toys coordinate with the Tall Tails line of bedding and blankets that make them a great accessory gift idea. The toys are completely machine washable and dryable. 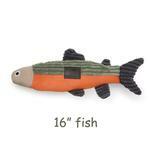 Choose either the 16-inch trout with the orange belly or the 12-inch solid sage fish. Each sold separately.